Your child’s first visit to the dentist should happen before his or her first birthday. Taking your child to the dentist at a young age is the best way to prevent problems such as tooth decay and can help parents learn how to clean their child’s teeth and identify his or her fluoride needs. As your child grows, we will monitor your child’s teeth for early treatment of bite or tooth alignment problems that may arise. 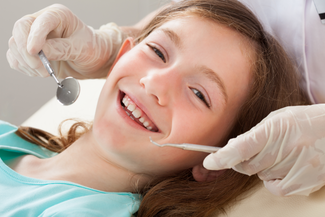 Our team will regularly evaluate your child’s dental needs to provide the highest level of prevention and treatment.